﻿ Best Price on Valle Escondido Resort Golf & Spa in Boquete + Reviews! 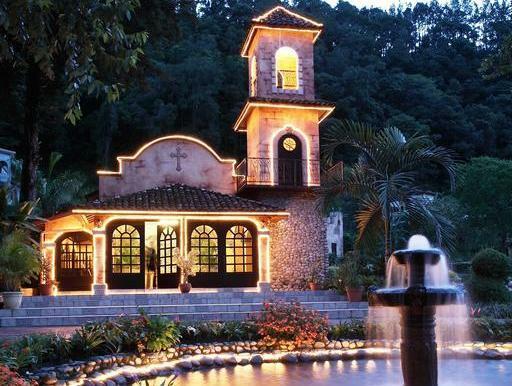 This beautiful hacienda-style resort in Boquete features a golf course, a fitness center and an on-site spa. Valle Escondido Resort Golf and Spa also features a heated indoor swimming pool and free breakfast. 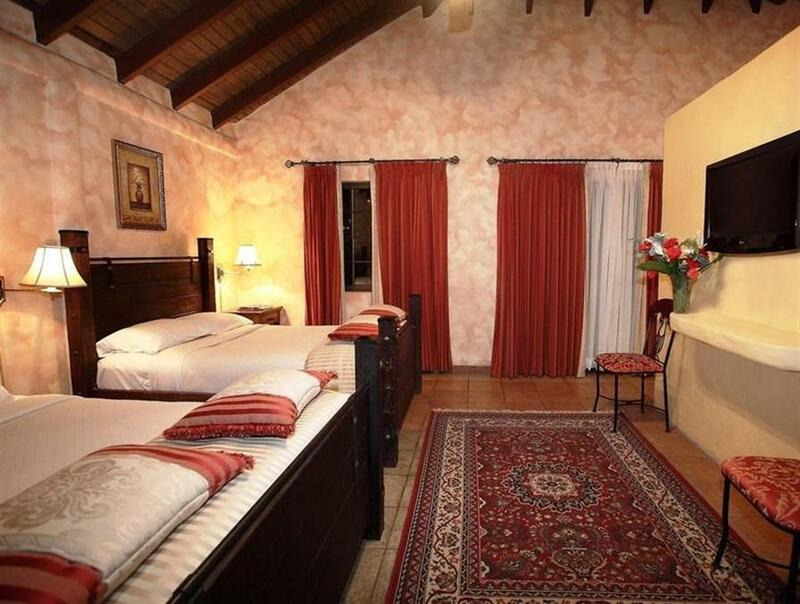 Each enormous room at this property features rock walls and vaulted ceilings. They also come with a flat-screen TV with satellite channels and a DVD player, as well as a safety-deposit box. Free buffet-style or a la carte breakfast is served every morning, and there is an on-site restaurant that serves international cuisine for lunch and dinner. The property also has a bar. Guests can make use of the property’s on-site sauna and hot tub, or visit Boquete City Center, which offers shopping and sightseeing. Playa Barqueta Beach is a 1-hour drive from Valle Escondido Resort Golf and Spa, while Enrique Malek International Airport is just 31 mi away. The only room rate does not include breakfast or use of the facilities. (Swimming pool, gym, sauna, steam bath, Jacuzzi, tennis court, raquet ball court). Only room rates does not include the use of facilities. When booking a room with 2 beds, if reservation is only for 2 adults we can accommodate up to 2 children under the age of 8 years old for free. Nevertheless, each child staying in room must pay breakfast. When booking a room with 1 bed, if reservation is only for 1 adults we can accommodate up to 1 child under the age of 8 years old for free. Nevertheless, the child staying in room must pay breakfast. Children of 9+ years are considered adults and have to pay the full amount. This was my second stay at Valle Escondido, I just love the tranquility that I experience during my stay. They have. 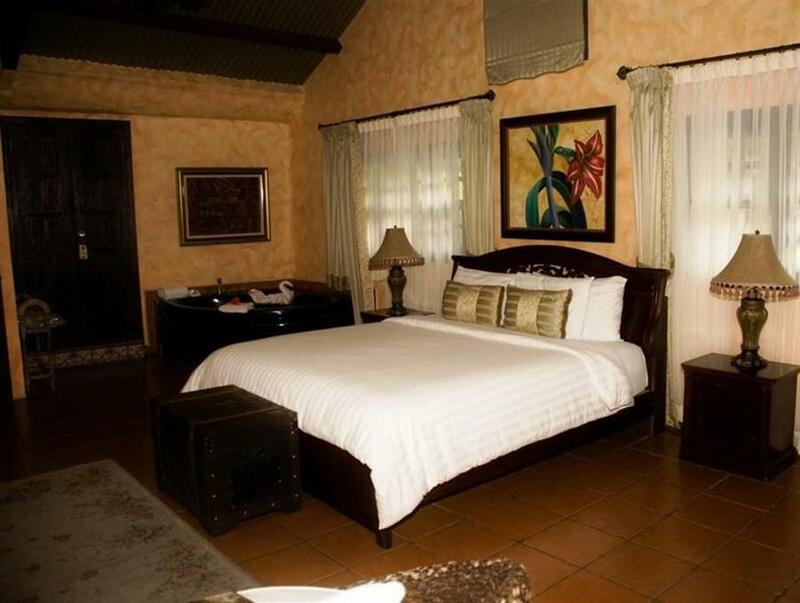 a small Rver that runs through the property that embodies calmness & Stress free environment the beautiful flowers and well manicured surrounding is the perfect set up to de stress & relax. Their heated poor & Jacuzzi are another plus. The only improvement I would suggest is to improve on the food selection.